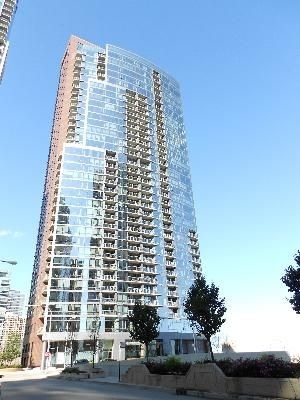 World class Luxurious Chandler Bldg in Lakeshore East! Spectacular view of Lake, Harbor & Navy Pier! Spacious open kit w/granite top, 42" cabinets, SS appliances. Gorgeous cherrywd fl in every rm except MB. Spacious master br with huge marble surrounded master bath, double sink, separate shower. Full amenity-rooftop indoor swimming pool,sundeck & garden with breath taking view! Newly done family lounge, Party rm, Library with lounge, meeting rm, conference rm, game rm, media lounge & state of art big exercise rm, 24 hr doorman, cleaner and more. In-unit washer/dryer. Balcony. Steps away from lake front, Navy Pier, River walks, Millennium Park, Grand Park and other parks.Village market, restaurant, magnificent mile and more. Deeded parking $40,000. No tax exemption applied. Truly world class bldg. in fabulous place! Property information last modified by seller on Saturday, March 23, 2019, 08:13 AM CDT. Information Deemed Reliable But Not Guaranteed. Unauthorized duplication, use, or linkage is prohibited. The information on this web site is for personal, non-commercial use and may not be used for any purpose other than to identify prospective properties consumers may be interested in purchasing. Monthly Payment Calculator results are for illustrative purposes only, not a financing opportunity; calculations assume a 30-year fixed-rate mortgage and do not include closing and other costs. Property Tax on NEW properties is estimated at 1.5% of Listing Price for payment calculation purposes; actual value may be higher or lower.